Realice aplicaciones rutinarias de manera sencilla y segura con las estufas de protocolo general Thermo Scientific™ Heratherm™. 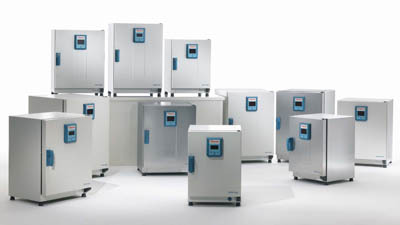 Heratherm General Protocol Ovens provide a choice of gravity convection for gentle drying and heating, or mechanical convection for faster drying and heating, and superior temperature uniformity. Gravity convection units are designed to protect delicate samples while offering temperature uniformity of ±4°C or better, and temperature stability of at least ±0.4°C at 150°C. Mechanical convection models provide temperature uniformity of ±4.0°C or better, and temperature stability of at least ±0.4°C at 150°C.